She looks for the humor in most any situation and says to “write what you know,” so it’s probably no coincidence that her books are about boogers, bad manners, and a boy named Bug who can’t seem to stay out of trouble. She believes that getting children to laugh is the key to getting them engaged and interested in reading. 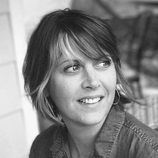 She earned a BFA from the Hartford Art School at the University of Hartford and worked for more than a decade as an art director at some of Boston’s top advertising agencies before leaving to pursue motherhood and her longtime dream of writing and illustrating children’s books. E. S. Redmond was awarded the Wanda Gág Read Aloud Book Award in 2010 for Felicity Floo Visits the Zoo, and in 2013 The Unruly Queen was named an International Reading Association Primary Fiction Honor Book. Bug Blonsky and His Very Long List of Don’ts is her first early reader chapter book. 2.She has never been stung by a bee or ridden a roller coaster. 3.Her favorite place to be is on Martha’s Vineyard.